Imgur is the image hub/version of Reddit. In summary, it’s lots of user-submitted pictures and animated gifs. Of what? People falling down, their kids.. and animals – cute, funny, aweee-worthly. 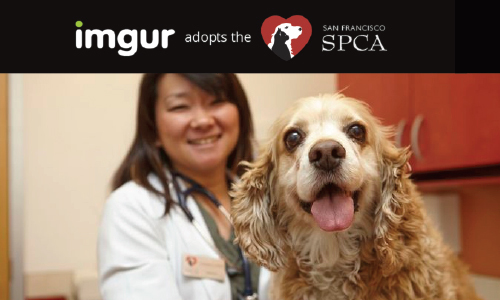 In December, Imgur adopted the San Francisco SPCA, matching all user-submitted donation. The program has currently raised $12k, of a $25k goal, with 12 days left. 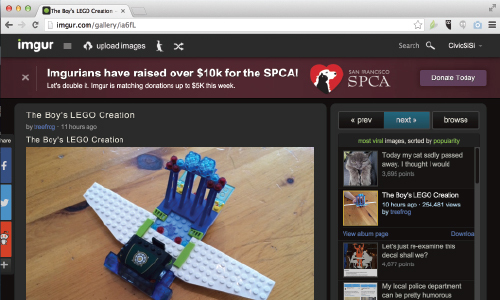 Contribute here, and make friends with the San Francisco SPCA here. Right now, through January 4th, you can take home a dog or cat without paying the adoption fee from their Mission or Pacific Heights locaiton. Happy New Year San Francisco.